The coming years at Masaryk University are to be focused on decreasing and stabilising the number of students. The coming years are to be focused on decreasing and stabilising the number of students. Masaryk University set the priorities for the following five years this October in the form of a strategic plan. What are the goals for education? The coming years are to be focused on decreasing and stabilising the number of students. This trend should go together with increasing the proportion of graduate students, primarily by admitting students from other universities. 'We also aim to improve the faculty-student ratio, as this is a key quality measurement', says MU Rector Mikuláš Bek. The structure of offered programmes will also change. The findings of various student surveys showed that the current range of programmes, especially on the bachelor's level, is confusing and not easily understood by potential students. 'After years of implementing the Bologna Process and uncontrolled development, a complete review is necessary. For example, many narrowly focused programmes should be transformed into specialisations that students choose during their studies', says Bek. At the same time, duplications among programmes should be reduced and some of them should open to admission less frequently. The goal is to maintain a higher level of selectivity. According to expert predictions, interdisciplinarity is the next big thing. Authors of the strategic plan therefore see a great potential in a new design of double-subject programmes. There will be more optional interdisciplinary courses on offer and more common core courses in all bachelor's programmes. 'All these innovations can be a great way for students to develop their knowledge not only within their narrow specialisation, but also in other areas that any educated person should be knowledgeable about', says Ondřej Vymazal, the Chair of the Students' Chamber of the MU Academic Senate. Short-term professional programmes offering a chance to obtain missing qualifications are also part of the plan. One of the issues hotly debated both in Czech Republic and at prestigious European and US universities is the rising dropout rate. 'We have been busy looking into the causes for the past several years. In the next five-year period, our findings should be translated into the admission process set-up – besides testing general learning potential, it will now also focus on knowledge of the chosen discipline as well as on motivation,' describes Šárka Hrabinová, Head of the Strategy Office. Counselling offered to applicants is also going to be expanded, with the aim of helping them make a sound decision about their field of study before enrolling rather then during the first years of their studies. One of the main challenges described in the MU Strategic Plan is the completion of an internal system that would ensure and evaluate the quality of education. 'Masaryk University has been working on it for a number of years and our goal is to obtain institutional accreditation in the future. Due to changes in legislation, it will shortly be necessary to set new processes of internal approval of study programmes, including internal study programme quality standards', says Soňa Nantlová, Head of the Quality Centre. In this context, student senator Ondřej Vymazal welcomes the planned launch of programme boards with student participation. 'Students will be able to evaluate the structure of the whole programme. We have been increasingly vocal about the need for something like this', he adds. 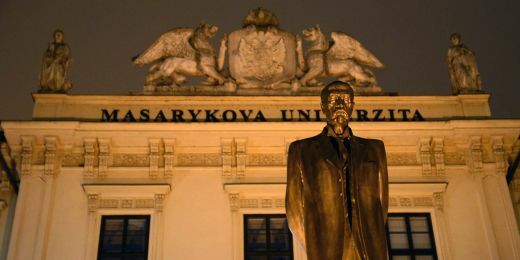 Even though Masaryk University is ahead of other Czech universities with its level of internationalisation, it is still behind renowned universities in Western Europe and the US. 'We have been successful in organising student mobility within European programmes and we also have a number of bilateral agreements. However, it is also one of our priorities to work on creating an international environment within the university, which includes employing a higher proportion of international faculty members. We also want to expand our offer of programmes in foreign languages and increase the number of self-paying students', explains Ivan Malý, Vice-Rector for External Relations. Another issue related to internationalisation are language competences of Czech students. It is increasingly important that future graduates improve their language skills in more than one foreign language. 'Foreign languages should be used more often within study programmes offered in Czech – both as a part of self-study materials and at lectures and seminars', adds Rector Mikuláš Bek. Focus on the development of e-learning systems and tools, use of simulation equipment and strengthening modern teaching methods aimed at active student participation will also remain among education priorities. 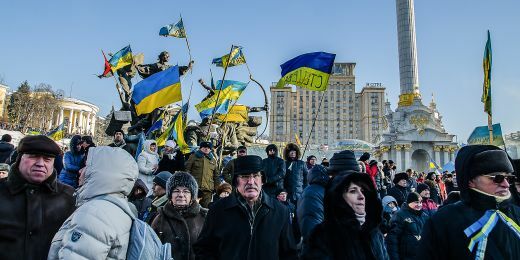 Political situation in Crimea has disrupted relationships among colleagues. University will begin the celebrations of its 100th anniversary on 28 January 2019. 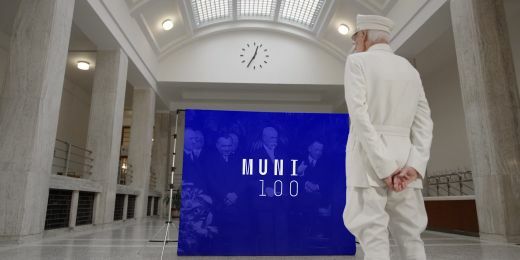 Muni now ranks 501st–600th and is in the top 2% of the best universities in the world.